Weird and crazy lenses is what Mathieu Stern has become known for. He seems to find some of the most unusual lenses that ever existed, and then makes them fit onto his Sony mirrorless camera. Fortunately for us, he posts images and video captured by those lenses he finds to YouTube. And this particular lens is a beauty. A Carl Zeiss Kipronar 120mm f/1.9 projector lens which cost him only $70. It’s fixed wide open at f/1.9 and was never meant to be used for shooting photos. But Mathieu was able to adapt it. He says the closest he could find to a modern equivalent of this lens is the $7,000 Leica APO-Macro_Summarit-S F2.5/120mm. Last year I scored a really amazing gig. I had a two-week shoot for a tour company in the Canadian Rockies creating promotional content for their boutique medical conference. One of the best things about that gig was the chance to shoot some stunning sites out in the Banff National Park. I wanted to try out my skills at nightscapes in some of the most stunning parts of the world to shoot them. The challenge though was that I had to be shooting the whole day from about 7am till 10pm or 11pm most nights.Then I would get back to my hotel room and have to back up cards, charge batteries and get everything ready for the next day. Needless to say, I didn’t have that much energy left to stay up all night shooting the stars most nights. But I wasn’t going to be deterred by a little thing like no energy! Instead, I tried to shoot out of the window of my hotel room. This of course lead to some technical challenges and, if I do say so myself, some McGyver-like solutions. Zeiss has expanded their Milvus line of lenses, and they have officially launched their new 35mm lens. Zeiss Milvus 35mm f/1.4 ZF is a faster lens than the previous one of the same length from this line, which featured the f/2 aperture. Because of its speed, it’s especially suitable for portrait photography, according to the Zeiss press release. Of course, it’s also useful for shooting in difficult lighting conditions, and for different types of photography, like landscape, architecture, and interior. When I go through my gear bag and I pick out a lens I get visions that flash through my head. What if it snags on the bag? What if I drop it as I put it onto the mount of the body? Will I pass out if it hits the ground? I have always known Zeiss lenses to be built very well. I did not know what kind of testing they go through before they leave the factory. We get to watch examples of the tests a lens goes through in this video from the Carl Zeiss Group. I will warn you that the first thing that happens… ok I can’t. 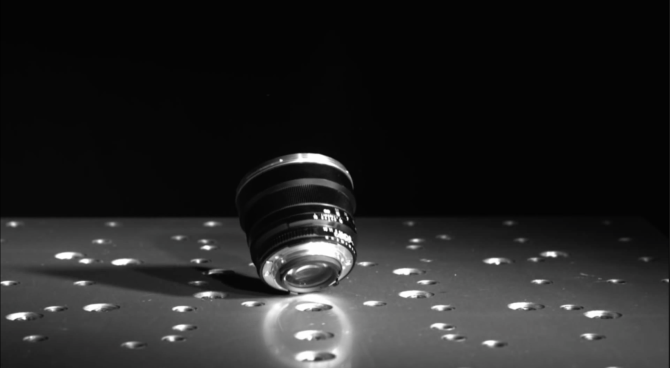 Just watch the video, it’s a great look into what these lenses go through. Let’s just say that Zeiss feels confident enough to make the following statement: “A device that doesn’t work is like not having it all”. Earlier this year, Sigma generated a good amount of noise throughout the photography community when the company stated the intended target competition of their upcoming 50mm F/1.4 lens: Zeiss’s $4,000 55mm Otus. That can either result in us getting one a big leap in quality for lenses on the market at a (hopefully) more consumer-friendly price, or it can end with us having some serious trust issues.